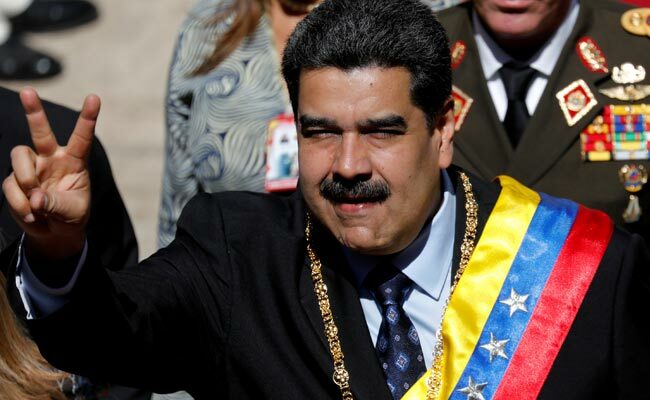 The US is prepared to pump dollars into Venezuela to fortify its economy if President Nicolas Maduro leaves, the top White House economic advisor said Wednesday, as American senators introduced legislation to authorize $400 million in humanitarian aid. Larry Kudlow told reporters that Washington is already working with banks and the International Monetary Fund on a rebuilding plan to revitalize the country's crushed economy and said that, when the time comes, "we will be moving as fast as we can." Venezuela's oil economy has crumbled under a collapse of crude exports and international sanctions against Maduro, whom Washington and its allies view as illegitimate. Once Maduro leaves, economic assistance would be immediate, beginning with pushing the US currency in to reignite economic activity, moving it via "banks, iPhones, apps," said Kudlow, who is director of the National Economic Council. On Capitol Hill, a bipartisan group of US senators introduced legislation to authorize $400 million in humanitarian aid to Venezuela. The funds are part of a package of measures aimed at re-establishing democracy and supporting opposition leader Juan Guaido. Since 2017, Washington has allocated more than $195 million for humanitarian aid for Latin American nations that are taking in Venezuelan migrants and refugees. In January, the US Agency for International Development said that it could kick in an additional $20 million. The bipartisan senate initiative, known as the "Venezuela Emergency Relief, Democracy Assistance, and Development Act" - acronym VERDAD, or truth in Spanish - was proposed by New Jersey Democrat Bob Menendez and Florida Republican Marco Rubio. More than 50 countries including the United States support Guaido, the head of the opposition-controlled National Assembly legislature, as Venezuela's interim president. Russia and China back Maduro. Malnutrition and disease are on the rise as living conditions plummet in Venezuela, which is spiraling ever deeper into economic chaos during the protracted political crisis.